Anjali January 15, 2017 March 1, 2017 No Comments on Are Big Companies really paying Higher Salaries to Java developers? Larger the company, higher they pay. This has been the understanding of most of the IT professionals and their families. It has also refrained many from following their heart and joining a small or a medium size company. But is it really the way people think? Or are IT professionals giving it to that peer-pressure that is merely based on an assumption? This was the next big question that some Java developers put to us after reading our last month’s article on (Who pays more to IT professionals? Product Vs. Service Companies). Team Paywatch brings you the truth behind this assumption. This month also, Team Paywatch has enhanced the Paywatch Special 2016 edition with the comparison between the average salaries offered to Java developers by Very Small Companies, Small Companies, Medium-size Companies, Large Companies and Very Large Companies in Pune. We hope that this will help you make an informed choice. Team Paywatch studied the latest figures related to salaries paid to Java developers of various experience-ranges by each company in Pune. Our analysis is based on the current salaries (CTC) of the candidates, and their respective companies (source: job portals). The study involved identifying Very Small Companies, Small Companies, Medium-size Companies, Large Companies and Very Large Companies based on the number of employees (source: LinkedIn). We segregated the current CTC of candidates in these five categories and plotted the average pay for each experience range in a graph below. This graph is also added to the main technology page of Java in Paywatch Special 2016. Please note that this graph consists of the salaries of Java developers from only those IT companies in Pune, for which we were able to identify the size of the companies in terms of manpower. In the given bar graph, X-axis represents experience range (in years) and Y-axis represents the average pay in Lakhs/annum (L/a) of Java J2EE Developers. Red bar indicates the average pay of Java J2EE Developers working for Very Small Companies in Pune, Blue bar indicates the average pay of Java J2EE Developers working for Small Companies in Pune, Yellow bar indicates the average pay of Java J2EE Developers working for Medium-size Companies in Pune, Green bar indicates the average pay of Java J2EE Developers working for Large Companies in Pune and Purple bar indicates the average pay of Java J2EE Developers working for Very Large Companies in Pune. We have enhanced the pages for Java with the addition of candlestick graphs that show you the salary distribution of companies. In these graphs, companies are arranged as per the size of the companies in term of numbers of employees. This will give you a pictorial representation of the average salaries given by the companies and its relationship with their size. You will be able to see for each experience ranges whether companies really pay more if they have more employees. Larger the company, higher they pay is NOT TRUE when it comes to salaries of Java developers. Small and Medium-size Companies pay better than Large and Very Large Companies to entry level (0 to 2 years experience) Java developers. Large and Very Large Companies pay slightly better than other companies to Java developers with experience between 2 to 4 years. Small Companies give better salaries to Java developers with experience between 4 to 15 years than Large and Very Large Companies. Small Comapanies give maximum salaries to Java developers in experience range 6 to 12 years. Even the Very Small Companies give better salaries than Large and Very Large Companies to Java developers with experience between 8 to 12 years. Medium-size Companies are the highest salary payers for Java developers with 12+ years experience. Those Java developers who work for Very Large Companies do not get paid more than Medium-size Companies. We hope that Paywatch Special 2016 will help Java developers in making the right choices as well as the companies in matching the salary trends. 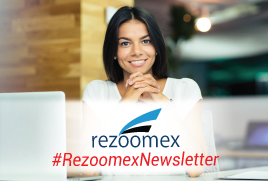 To keep up with Paywatch, please subscribe Rezoomex Newsletter. We would love to hear what you have to say about this article. Please do leave a comment below. You can also tweet your feedback about this article or requests for more Paywatch articles to @Rezoomex with #paywatch.